Avantium has decided to locate the new demonstration plant for its Mekong technology in Chemie Park Delfzijl, the Netherlands. The construction of the demonstration plant – with a capacity of around 10 tons of plant-based monoethylene glycol (MEG) – is on track, with the opening scheduled for the second half of 2019. This is an important step in commercializing the production of plant-based MEG, a fossil-free raw material for products such as plastic materials and textiles. Avantium develops novel Renewable Chemistries technologies that use renewable carbon sources instead of fossil resources. One such technology is Mekong, which delivers an environmentally sustainable plant-based alternative for MEG, producing it in a single-step process from industrial sugars. Today, more than 99% of MEG is produced from fossil-based raw materials, with a market value of about $25 billion. The Mekong technology aims to produce plant-based MEG that is chemically identical to fossil-based MEG and competitive in terms of cost and quality. The construction of the Mekong demonstration plant is part of Avantium’s strategy to invest in developing and scaling up breakthrough Renewable Chemistries technologies. 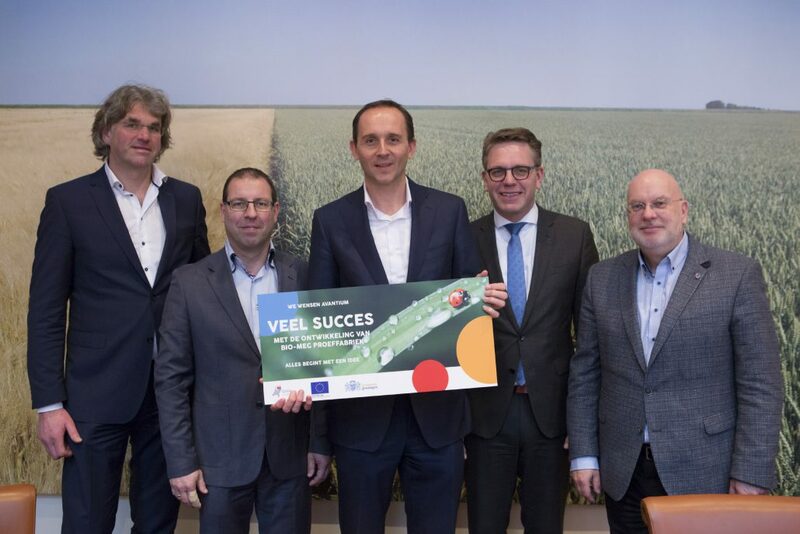 A key factor behind the decision to build the Mekong plant in Delfzijl is a €2 million grant from the European Regional Development Fund, facilitated by Partnership Northern Netherlands (Samenwerkingsverband NoordNederland). This grant aims to accelerate innovation in the quest for a low-carbon economy.